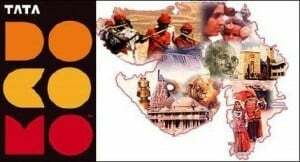 Tata Docomo, the GSM Mobile service of Tata Teleservices (TTSL) today announced that it has expand its GSM Mobile service network in Gujarat with the commercial launch of its operations in Ahmedabad city. The company also inaugurate its first Dive-in Store in the city to provide fresh insights and give a first-hand look and feel of latest products and services offered by Tata DOCOMO.The store has unique VAS kiosks that help customers come up to speed on latest offerings and services. Earlier at the time of its launch in Gujarat circle, GSM services were not made available in Ahmedabad city area. The company’s pan-India service rollout, which was kicked off in end-June 2009 and has seen tremendous response from subscribers in all the 16 Circles named Tamil Nadu, Kerala, Orissa, Karnataka, Andhra Pradesh,Mumbai, Rest of Maharashtra and Goa, Madhya Pradesh-Chhattisgarh, Haryana, Kolkata, Rest of West Bengal, Jharkhand-Bihar, Punjab, UP (East), UP (West) and Gujarat telecom Circles.It will rolls out its services in Rajasthan circle in next few days. super duper bad network in the world.